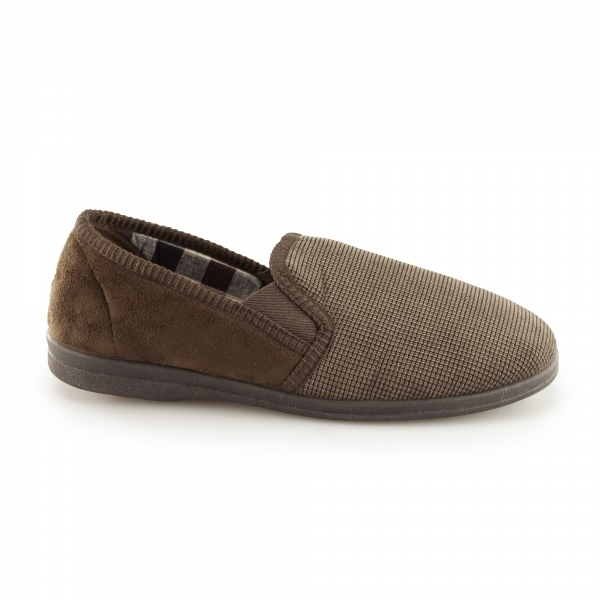 Slip into a world of comfort like you've never experience before in these mens Harry slippers by Sleepers. Featuring double elasticated gussets, they can be slipped on and off at ease and from the second they slide in, they will instantly be surrounded with all the warmth and cosiness you could dream of; ideal to keep your toes toasty and warm during the cooler months. A memory foam insole ensure every step can be take in limitless comfort, cushioning the ground you walk on whilst the durable PVC sole keeps feet steady on the ground providing traction and grip.